The key to retail businesses lies in acquiring wholesale products. Everything you see at the mall was purchased from a wholesale distributor and then placed on store shelves at a markup price. In fact, the relationship between a distributor and a retailer forms the foundation of all retail business. That said, to begin your journey in the world of cell phone retail, you must first locate and develop a business relationship with a reputable wholesale cellular phone distributor. First up is 4G Wireless Group, a Houston-based "master dealer, distributor and wholesaler" that provides cellular phones to mobile virtual network operators like Virgin Mobile and small-business retailers. The company services 37 states and includes hundreds of independent dealers who purchase products from the company and then retail them to the general public. To begin the registration process, simply click the "Register" button the company's homepage and follow the on-screen directions. In operation since 1994, WesTrade Telecom is a wholesaler of mobile phones and accessories from the likes of Nokia, Sony Ericsson, Samsung, LG and Motorola. Though the company operates out of the Netherlands, it has a long history of importing and exporting phones to all the major continents, including Europe, the Middle East, Africa, Asia and America. To place an order, you'll need to click "Products" and then "Product Request" from the homepage. 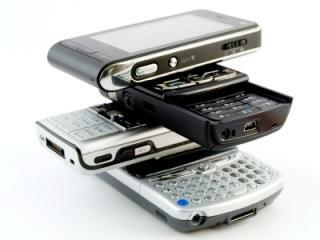 My Cool Cell specializes in wholesale distribution of cell phone accessories. The company offers accessories covering all major cellular phone models, including the Apple iPhone 4S, the HTC Hero 4G, the Motorola Droid 4 and the Samsung Galaxy S. Note that the company operates two warehouses -- one in California and one in Texas. However, all orders are processed through the Internet and shipped via UPS. To sign up, simply click the "Register" button on the homepage. Today's Wholesale Closeout hosts an online private interface where registered wireless dealers may acquire brand-name cellular phones and accessories at wholesale or lower prices.The company's inventory includes phones from the top manufacturers, including Apple, BlackBerry and HTC. Furthermore, the distributor also offers refurbished phones, as well as carrier returns. Since everything is based through the Internet, simply click "Become a Member" from the home page to start. Hours of Operation (Weekdays): Monday-Thu, 10 a.m. to 6:30 p.m. Hours of Operation (Weekends): Friday, 10 a.m. to 2:30 p.m. Some wholesale distributors accept orders from anybody via the Internet, while others require that you first register and then prove your identity as a certified wireless salesperson. Either way, be prepared to contact these companies directly to inquire about details regarding their contracts and terms. The key is to establish good relationships with reliable wholesalers early on so that you can maintain a constant supply of products for your own customers. Doing so will ensure that your business is profitable for many years to come.